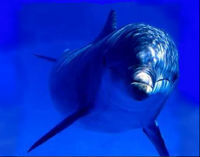 ACTION ALERT: Stop Killing Dolphins With Oil Exploration! PLEASE SIGN! Since January, over 900 dead dolphins have been found on the beaches of Peru. Dr. Carlos Yaipen Llanos of ORCA Peru conducted necropsies on 30 of the dolphins, and found evidence that acoustical trauma and the startled rapid race. Signed, shared and noted. Thanks very much, Simone.